Wow is all I can say! This attraction is going to be a big hit with the entire family. 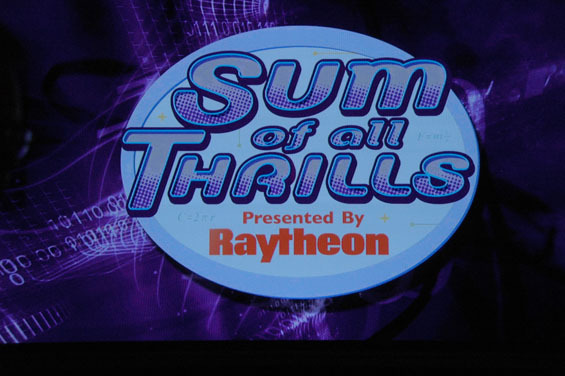 Sum of All Thrills is presented by Raytheon and is located in Innoventions East in Epcot in Walt Disney World. 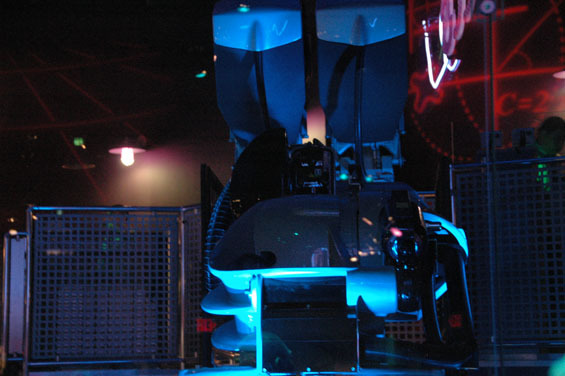 It is an interactive, simulator where you design your own thrill ride. I took one for the team today and confronted my fear of roller coasters. 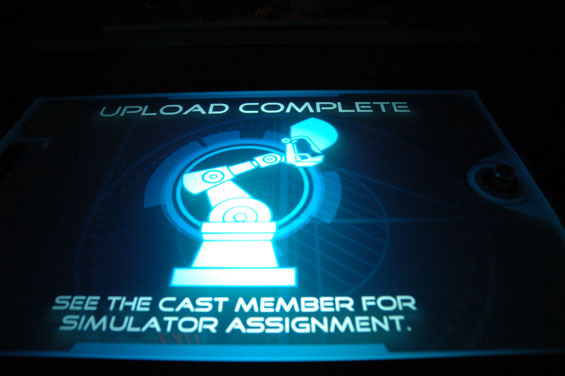 If you have ever done CyberSpace Mountain at Disney Quest this attraction is similar. I am a roller coaster wimp. So I was worried while I was waiting and watching others enjoy the attraction. 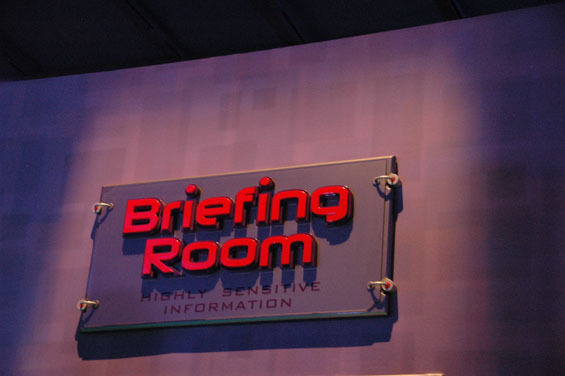 Finally it was my turn to enter the Briefing Room. 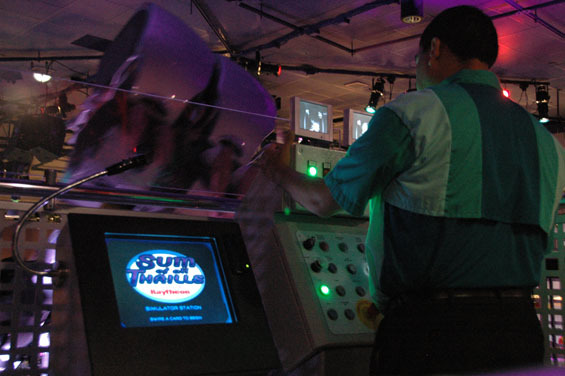 This is the preshow room before you enter the room to design your ride. There are numbers on the floor you are instructed to stand on. 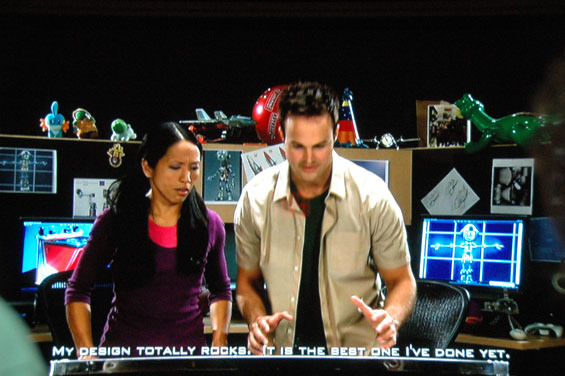 You are watching a TV screen with a little story that talks about how math, science and engineering are important when designing a ride. Finally it was time to design our ride. I was nervous after watching people get flipped over in their simulator. I didn’t want to do that. The tamest ride was the bobsled and the fastest and wildest was the jet. You are presented with a number of choices when designing. You are then asked to check your speed to see if your design is fast enough. You are allowed to dial the speed up or down and then check if it is fast enough for the design you chose. 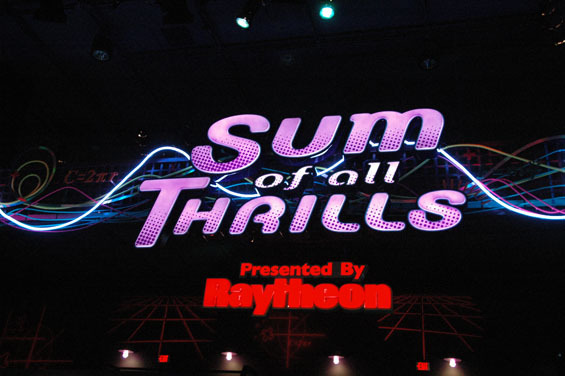 When you first start designing you swipe your Sum of all Thrills card. You take that card to the Cast Member at the top of the stairs. 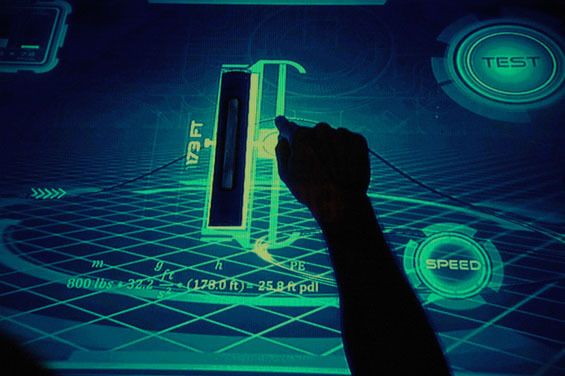 They swipe it and you are assigned a simulator. You are asked to remove any loose items in your pockets. If you are wearing loose fitting shoes you are asked to remove them on the platform. I finally got to the simulator. It is two seats at the end of the arm of Kuka RoboSim 4 D simulator. You are shown where the stop button is in case you need to end your custom ride. I was nervous hanging out off the floor but I calmed down when the experience started. 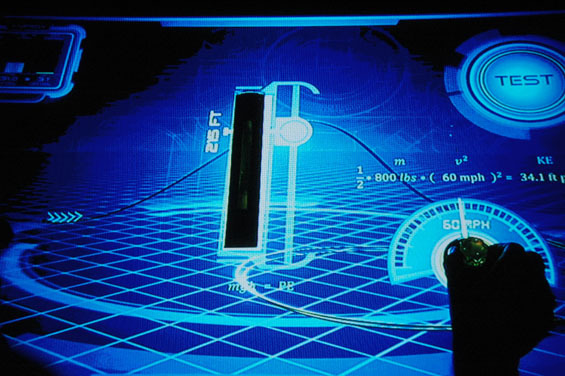 You are watching the screen while the robot arm is simulating dips. It turns you over and tilts you just like you were on a bobsled or jet. 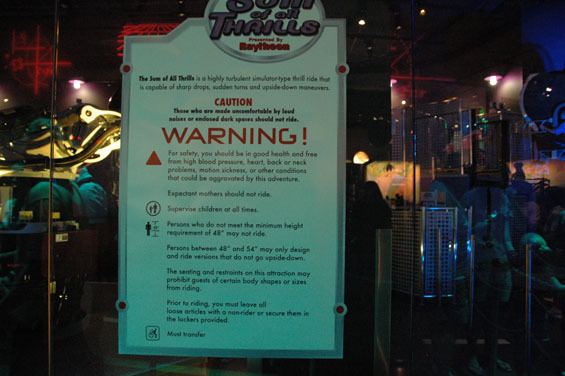 There is a height requirement of 48 inches for this ride, but you need to be 54 inches if your design includes an inversion. You get to keep your card at the end of the ride. They mention their website www.mathmovesu.com. Check it out. I recommended it to my friend Ros and she texted me with “It was awesome. 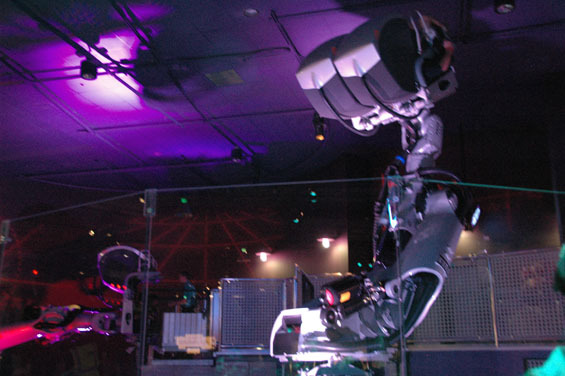 I did a jet with two inversions and was weightless for a couple seconds.” I know I will be back again and I think this will quickly become a favorite of many when visiting Epcot. 2010 Epcot International Food and Wine Festival Opens!